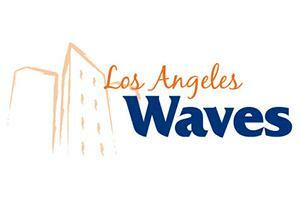 Oh, what fun it is to mingle and jingle with your Los Angeles Waves and GAN LA! Join President Andrew K. Benton, Debby Benton, the new dean of the Graziadio School of Business and Management, Deryck J. van Rensburg, fellow alumni and friends for a one-of-a-kind holiday party and Christmas celebration at the Natural History Museum of Los Angeles County. Here, you will take in the sight of the infamous dueling dinos in the Grand Foyer mixed in with the tinsel trees. Then, take a trip to the North Pole to spot a polar bear in the North American Mammal Halls. Trek on to the African Mammal Halls to scout chimpanzees, giraffes, and lions. Finally, go back in time to explore the fascinating prehistoric creatures in the extraordinary, Jane G. Pisano Dinosaur Hall. After traveling to the ends of the earth and back, enjoy delicious hors d'oeuvres by LA Roots Catering Co. and live entertainment by the Pepperdine Pickups, Pepperdine's breakout male a capella group. Be sure to dress in your best holiday cocktail attire, so you're photo booth ready, and then hit the dance floor to beats provided by Reel Vibes Entertainment. Eat, drink, and be merry while you celebrate Christmas and the joy of the holiday season with your Pepperdine family. Don't be left on the naughty list, and join us for the signature holiday event of the season! $25 per person for the first 100 registrants - SOLD OUT! $35 per person for the next 150 registrants - SOLD OUT! $40 per person - Online sales close on December 5th - Limited availability! Current students receive special pricing. Email alumni@pepperdine.edu for more information. Register early before these discounts become extinct. Price includes hosted hors d'oeuvres, non-alcoholic beverages, parking, live entertainment, photo booth pictures, and access to the Grand Foyer, the North American Mammal Halls, the Mr. and Mrs. Samuel Oschin Family Hall of African Mammals, and the Jane G. Pisano Dinosaur Hall. Attention all Pepperdine Associates! In honor of your annual membership and faithful support, you are getting the VIP treatment at this event. You will receive early admission starting at 6 p.m., reserved seating throughout the museum, hosted drinks, and an exclusive Associates guided tour of the Jane G. Pisano Dinosaur Hall. 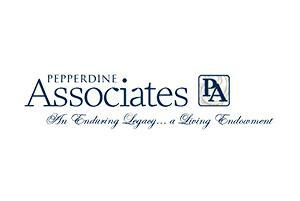 To learn more about the Pepperdine Associates program and to view membership benefits, click here. Share small acts of kindness: In the spirit of the season, we invite you to make a gift of any size to the Pepperdine Fund to support future students, advance vital initiatives, and sustain our University's bright future! Minimum suggested gift is $10, but every gift matters and counts you as a Pepperdine donor. Cancellations made before Friday, November 11, 2016 will receive a full refund. Not in your neighborhood? Find a holiday party near you to jingle, mix, and mingle with your fellow Waves. Additional Questions? 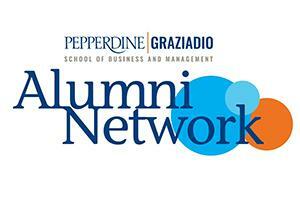 Please contact Pepperdine Alumni Affairs at alumni@pepperdine.edu or 310.506.6190.